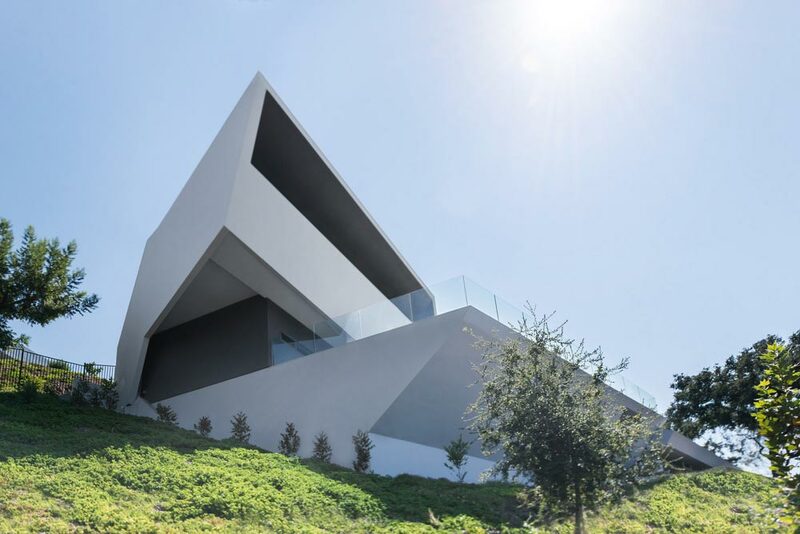 Add the MU77 Residence to the top of the list of avant-garde Hollywood luxury homes with stunning valley views and futuristic, cantilevered formal expressions that suspend disbelief just as well as they suspend awe-inspired guests. 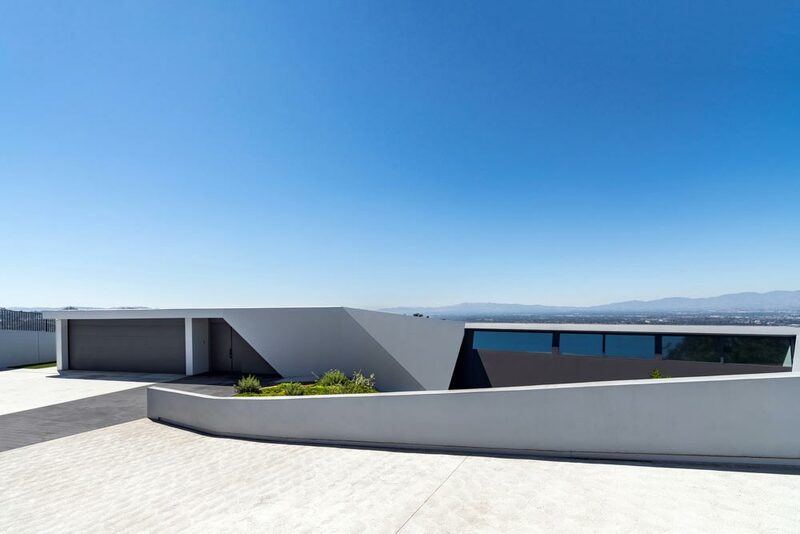 It’s a celebrated work of architecture even Tony Stark would be proud to call home, and recently won the American Institute of Architects Los Angeles (AIA/LA) prestigious 2016 Design Award. Arshia Architects not only designed a structure that perfectly balances serenity and place, it pushes boundaries with an imposing visual presence rarely seen in residential architecture. 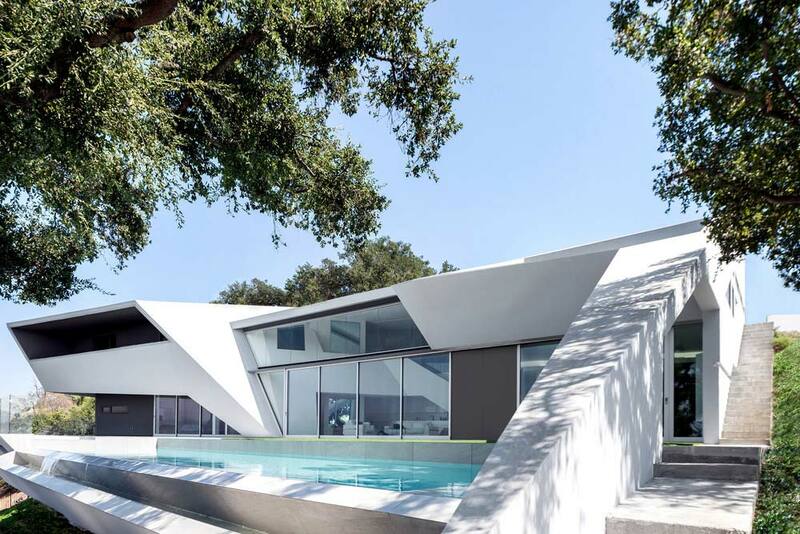 The approach from the down-sloped driveway reveals a futuristic, angular facade composed of white stucco and sweeping planes of translucent glass. 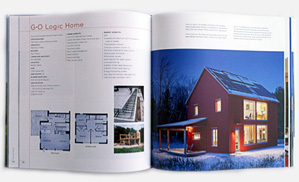 The flat roof is seamlessly bent, twisted, and turned down into the exterior walls, which in turn overlap each other more like a purposefully folded sheet of origami paper than wood, insulation, and matte white paint. 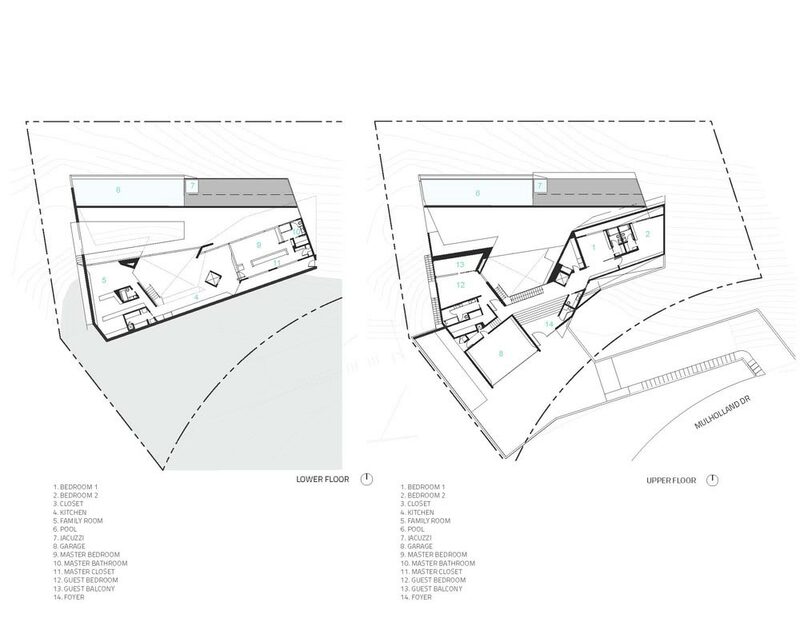 The home is situated in between converging slopes in the Hollywood Hills, and respond appropriately to topography, vegetation, and view. 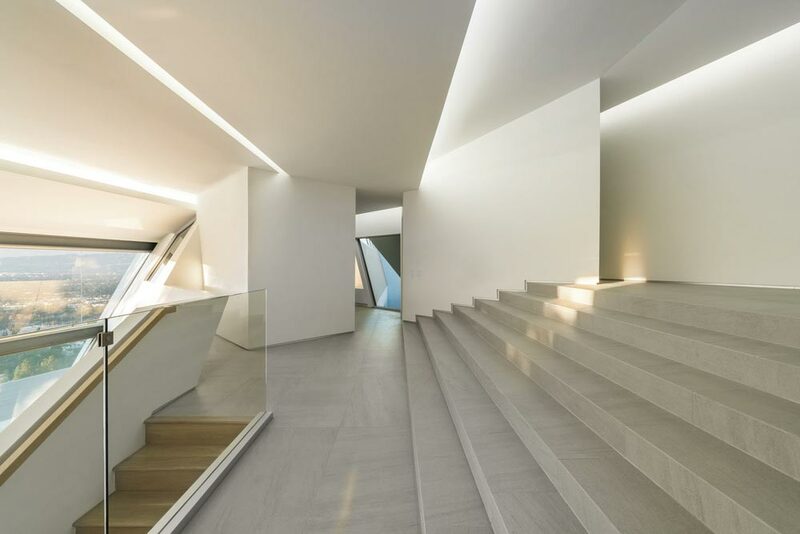 If formal moves appear random, it’s only because the true gravity of their importance can only be revealed through an intimate experience with the interlocking interior spaces. 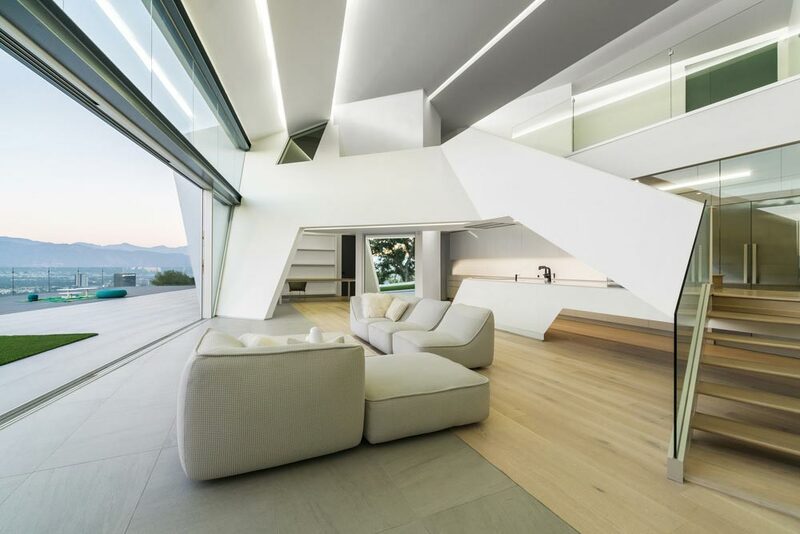 Angular ceiling forms naturally turn down to reveal focal point elements such as the staircase in a way that very much mimics the geometric response at the exterior. There were no opportunities wasted to express the conceptual force behind each design decision – most notably the kitchen island which looks more like it belongs in a space station than a California residence. But somehow, behind all the eccentricities that give viewers plenty to turn their nose up against rises a cohesive bit of architecture that maintains its sense of identity into each acute corner. 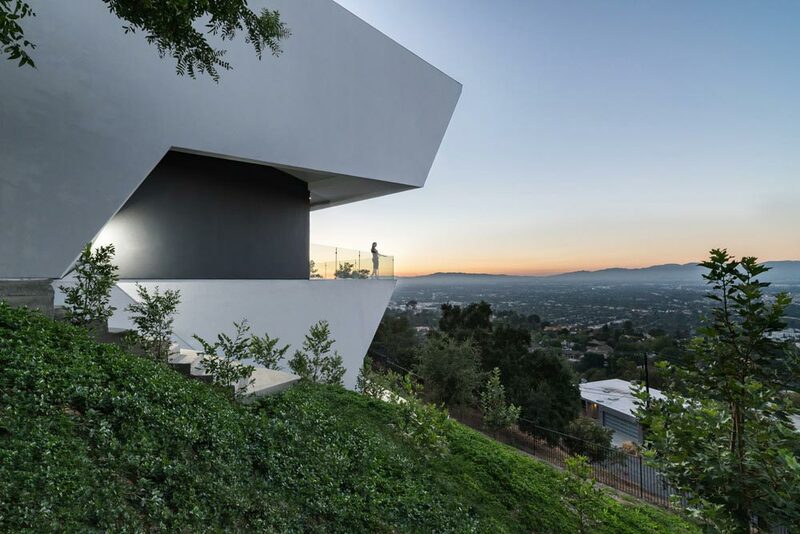 Arshia Architects have crafted a masterpiece that will stand tall against like-minded Hollywood homes that aim to reach away from their barren hillsides for something a bit more glamourous.